These stretchy socks mix mesh lace and wide ribbing for a comfy sock that’s simple but fun to knit. Passing stitches over their neighbors makes a perfect canvas for the bright colors of handpainted yarns. 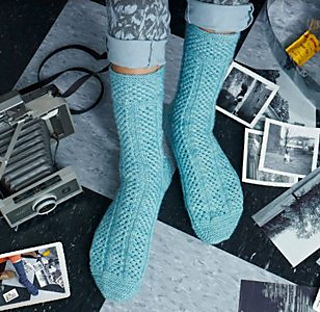 These socks will have you singing as you knit—and skipping as you wear them.